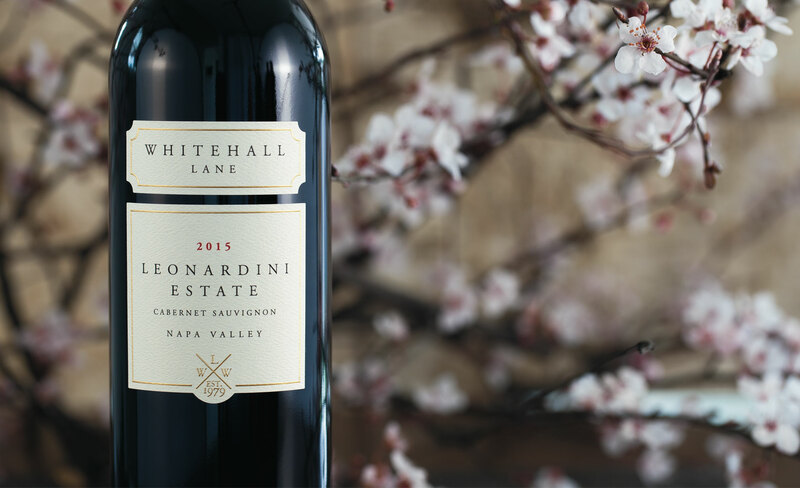 The Leonardini Vineyard Cabernet comes from one of our most prized vineyards and is the owner’s name-sake. It is located on the western side of the valley floor in the St. Helena AVA, which is celebrated for its exceptional gravelly-loam soil. This 100% Cabernet Sauvignon is richly textured and beautifully balanced with ample ripe fruit flavors and aromas. On the nose, it offers candied blueberry, violets, black cherry, dried tea, and a touch of croissant. The palate is enriched by its heavy array of black and blue fruits, giving way to cassis, blackberries, and blue-berry compote. Enjoy now or allow it to evolve with proper cellaring through 2030. The Leonardini Vineyard Cabernet comes from one of our most prized vineyards and is the owner’s name-sake. It is located on the western side of the valley floor in the St. Helena AVA, which is celebrated for its exceptional gravelly-loam soil. This 100% Cabernet Sauvignon is richly textured and beautifully balanced with ample ripe fruit flavors and aromas. On the nose, it offers candied blueberry, violets, black cherry, dried tea, and a touch of croissant. The palate is enriched by its heavy array of black and blue fruits, giving way to cassis, blackberries, and blue-berry compote. Enjoy now or allow it to evolve with proper cellaring through 2028. The Millennium MM Cabernet is made from grapes grown less than one-half mile from the winery, on the northern edge of the Rutherford AVA. This vineyard produces grapes that have been used in some of Napa Valley’s storied wines for the past half-century. This wine was made from hand-selected grapes in one small vineyard block. This Rutherford Cabernet is loaded with cassis, black berry aromas and chewy tannins that turn to a velvety finish. Enjoyable today but will benefit from cellar aging through 2030. The 2012 growing season was quintessential Napa Valley. The fruit was hand sorted and fermented in small lots at an average of 85°F with gentle pump-overs for excellent flavor and color extraction. The wine was aged in a combination of French and American oak barrels for 18 months and blended to attain balance. Merlot increased softness on the mid-palate while Malbec added texture and additional layers of ripe flavors to the wine. This 100% Cabernet Sauvignon is richly textured and beautifully balanced with ample ripe fruit flavors and aromas. On the nose, it offers candied blueberry, violets, black cherry, dried tea, and a touch of croissant. The palate is enriched by its heavy array of black and blue fruits, giving way to cassis, blackberries, and blue-berry compote. This Petit Verdot is like experiencing the dark side...with dark concentrated, full bodied flavors. It is extraordinarily balanced with aromas of black currants, clove, blackberry pie. On the palate it exudes flavors of black cherry cola and fresh black plums. Its powerful chalky tannin mouthfeel truly let you know THIS is Petit Verdot. The 2015 Zinfandel has appealing aromas of fresh red raspberry, dried goji berries, strawberry jam, and a touch of cinnamon and spice. On the palate, it bursts with big mixed berry jam, stewed red plums, dried cranberries, and finishes with baked red apples and berry tart.